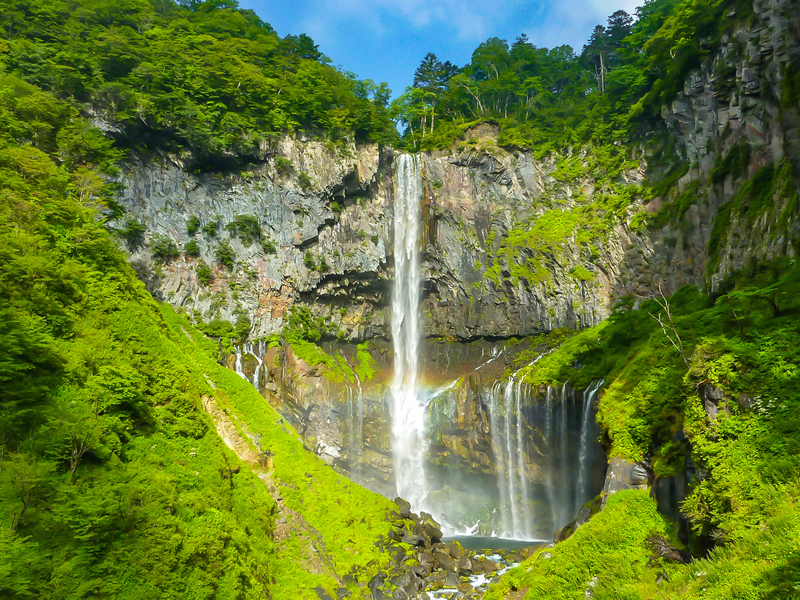 The area of Nikko is well-known for the number of waterfalls located inside the region, as it is rumored to have up to 48 waterfalls! In total, the Kegon Waterfall is the most famous among these 48, and its prominence is attributed to its tie to the Kegon (Flower Garland) Sutra, a classic Buddhist scripture. Witnessing the extraordinary sight the water dropping down 97 meters from Lake Chuzenji is a powerful experience. Seeing the water drops down and hit the rock on the cliff is a way to enjoy the art of formation out in nature. Another plus point is that Lake Chuzenji can be easily accessed via an elevator.